The TEXUS 55 research rocket launched from the Esrange Space Center near Kiruna in northern Sweden at 06:00 CEST on Thursday, 31 May 2018. On 13 May 2018, TEXUS 54 lifted off carrying three experiments. Prior to launch, TEXUS rockets are assembled in the TEXUS tower. The payload module housing the experiments for TEXUS 45 landed safely in the snow. The TEXUS 55 research rocket launched from the Esrange Space Center near Kiruna in northern Sweden at 06:00 CEST on Thursday, 18 May 2018. 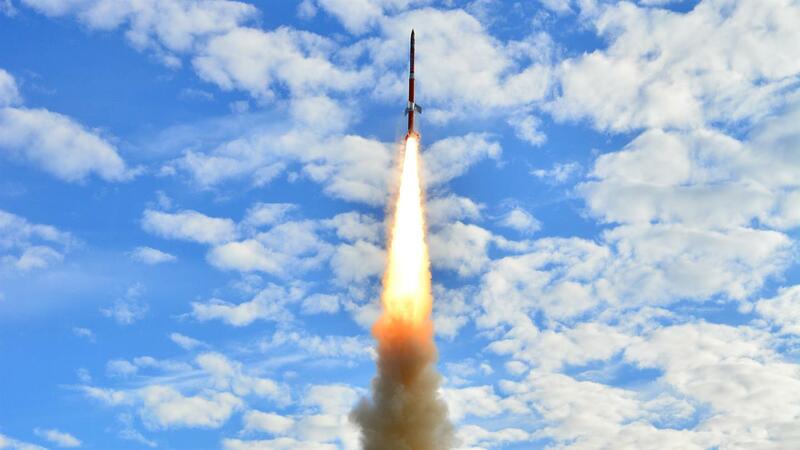 The German Aerospace Center (Deutsches Zentrum für Luft- und Raumfahrt; DLR) rocket, carrying four German experiments for solar and materials research, as well as for gravitational biology, climbed to an altitude of 255 kilometres. A microgravity environment persisted for six minutes during the approximately 20-minute flight, before the payload module parachuted back to Earth on schedule. The TEXUS 54 research rocket had already launched successfully 18 days before, on 13 May 2018, carrying three other experiments. The Energy Transition is considered to be one of the most important future projects in Germany. To advance this cause, it will be necessary to develop alternative energy sources such as solar power and to enhance their efficiency. This is the issue addressed by the ‘ParSiWal-2’ experiment (Bestimmung der kritischen Einfanggeschwindigkeit von Partikeln bei der gerichteten Erstarrung von Solarsilizium im Weltall – determination of the critical capture velocity of particles in the targeted solidification of solar silicon in space) by researchers from the Fraunhofer Institute for Integrated Systems and Device Technology (IISB) in Erlangen and the University of Freiburg. Solar cells convert sunlight into electrical power. The base material used in solar cells consists of silicon crystals that are manufactured in a special process. The purpose of the experiment is to investigate the unwanted inclusion of silicon carbide and silicon nitrate particles, which may occur during the crystallisation of silicon. As this inclusion reduces the yield and quality of solar cells, it is important to discover how this process can be prevented during production. TEXUS 55 is continuing the series of experiments that began with TEXUS 51 and TEXUS 53. How do plants perceive weightlessness? Scientists from the University of Freiburg intend to use the biological experiment GENTEX on TEXUS 55 to identify genes and genetic products ('messenger RNA') that play a role to how plants perceive and process gravitational stimuli. For this purpose, thale cress seedlings – a plant that researchers describe as a 'model organism' due to its genetic structure – are included in the mission. Among the questions that scientists are hoping to answer with this experiment is which classes of genes are activated or deactivated during changes in gravitation. The OASIS-TEX experiment (Optical Analysis of Smectic Islands in Space – Thermocapillary Experiments) from the University of Magdeburg in cooperation with scientists from the University of Colorado in Boulder (USA), and the MEDI-2 experiment (Multiple Equiaxed Dendrite Interaction) by the ACCESS research centre (Aachen) will advance the cause of materials research. While OASIS-TEX investigates the properties of liquid crystalline layers used in the manufacture of display devices, in medicine, cosmetics and the production of detergents, MEDI-2 explores the melting processes of metal alloys to improve their material properties. The TEXUS flight again featured a spinning-disc microscope as part of the FLUMIAS experiment preparations. This instrument allows scientists to analyse living biological samples using high-resolution, three-dimensional fluorescence microscope images. These images can be used to validate the effects of microgravity on the structure and dynamics of the cytoskeleton in human immune, nerve and breast cancer cells. Three work groups at the Universities of Hohenheim (Stuttgart) and Magdeburg are conducting the analyses. Above all, the opportunity to visualise directly the effects of gravity on processes in isolated cells will make an important contribution to life sciences and preventative research for astronauts in space, as well as for patients on Earth. The FOKUS-II experiment (Faserlaser-basierter optischer Kammgenerator unter Schwerelosigkeit – fibre-laser-based optical comb generator in a microgravity environment) involved testing an optical frequency comb developed by Menlo Systems GmbH for its application in space. Frequency combs are among the most precise measurement tools used in modern physics. The frequency comb consists of two pulsed laser oscillators that determine optical frequencies in the range of around 300 terahertz with extreme precision. Compared to the predecessor experiments carried on the TEXUS 51 and 53 flights, FOKUS II was completely rebuilt. The new comb can measure frequencies with a precision down to the 12th decimal place. In future, this frequency comb technology will be used for precision spectroscopy, for example in the analysis of trace gases present in the atmosphere, in astrophysics, and for innovative, highly precise atomic clocks in research missions and in satellite navigation. The JOKARUS experiment (Jod-Kamm-Resonator unter Schwerelosigkeit – iodine comb resonator in a microgravity environment) includes an optical system that stabilises a laser beam with a wavelength of approximately 1064 nanometres (around 282 terahertz) with high precision. The system was redeveloped under the leadership of Humboldt University and the Ferdinand-Braun-Institut, Leibniz-Institut für Hoechstfrequenztechnik (FBH) in Berlin. Together with the frequency comb FOKUS-II, JOKARUS is ideally suited to determine the distance between two satellites by means of laser interferometry, among other things. Included in its practical applications are precise measurements of Earth’s gravitational field, the detection of gravitational waves and as part of future global navigation satellite systems. In contrast to the predecessor experiments on TEXUS 51 and 53, which used frequency transitions between the elements rubidium and potassium, JOKARUS – combined with the FOKUS II experiment – achieves a significantly greater precision in frequency determination and stabilisation. Airbus Defence and Space in Bremen was responsible for preparing and conducting the launch campaign for the TEXUS double launch. OHB System AG in Oberpfaffenhofen was responsible for the systems on the rockets. The DLR Mobile Rocket Base (MORABA) was in charge of the rocket engines and flight operations. 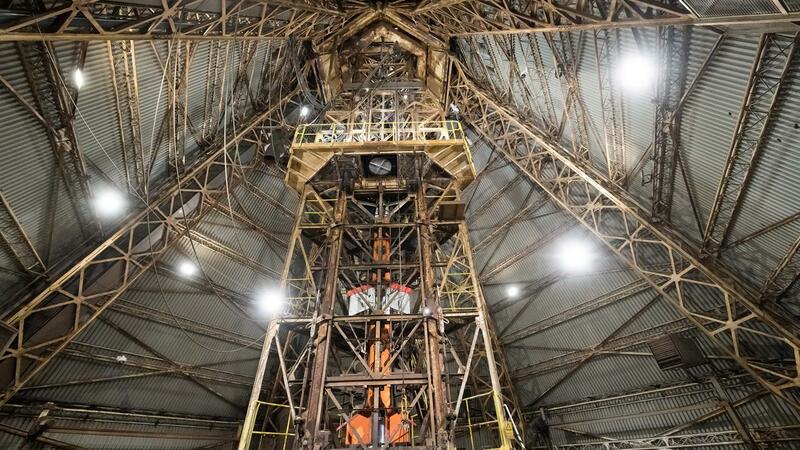 The two-stage VSB-30 launcher was developed by the Brazilian aerospace organisations Centro Técnico Aeroespacial (CTA) and Instituto de Aeronáutica e Espaço (IAE), DLR’s MORABA and the Swedish Space Corporation (SSC). 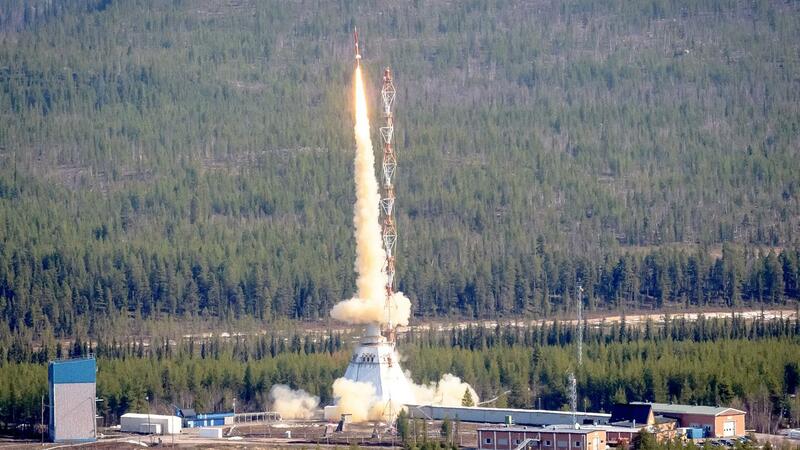 This was its 14th launch from the Esrange Space Center as part of the programme.